Macmillan Provincial Park lies to the east of Port Alberni on British Columbia’s Vancouver Island. 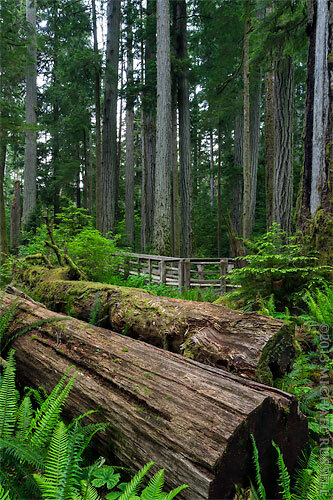 This photo was made in the Cathedral Grove area of the park, and a shows two fallen, large trees (windstorm casualties) along the trail. While there are many large trees there, it was a challenge to show any of the larger ones in the context of their natural environment (this photo does not fulfill that challenge, obviously). First it is often difficult to give a sense of scale with trees, especially those not surrounded by recognizable foreground elements (or people hugging the trunk). Second, many of the larger trees were rather highly visited by the tourists in the area and were not longer really sitting in a natural setting. That said, Cathedral Grove is a great place to stop and stretch your legs (or photograph for 2 hours like I did). It is not the best example of an “old growth” forest that many purport it to be, however. Still, this park receives a lot of visitors each year, indicating that at least some people do have some manner of interest in this kind of nature. Even though this is a bit of a pseudo forest in a way, high interest from the public is a good thing. 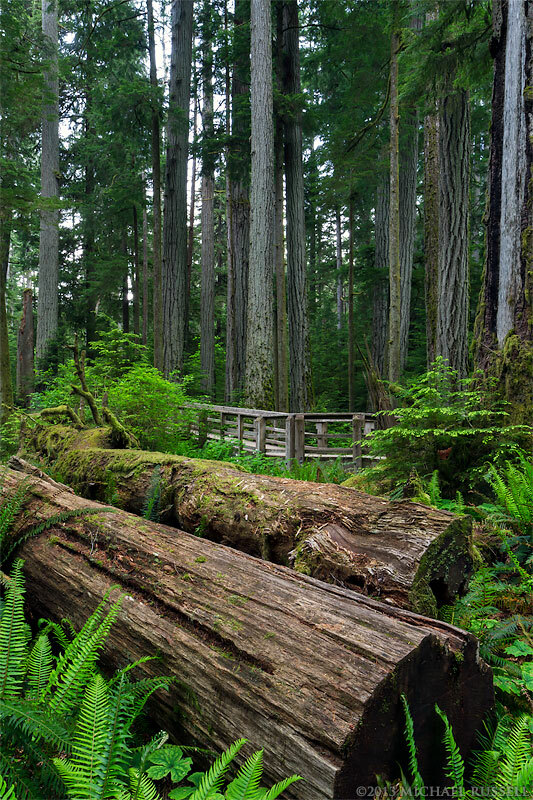 Genuine old growth forest would likely cease to be as diverse as it should be upon becoming a highly visited tourist destination, so with Cathedral Grove I think a decent balance is found.